Every month this gift will remind your friends or loved ones how much you care about them and how fantastic you think they are to you. MayaWearTM will send your gift direct to your loved one’s mailbox. MayaWearTM has whatever fits your budget, choose from 3-month, 6-month, 12-month or Seasonal packages and every month a beautiful and colorful expertly woven cotton bandana will bring peace of mind that you gave from your heart!! 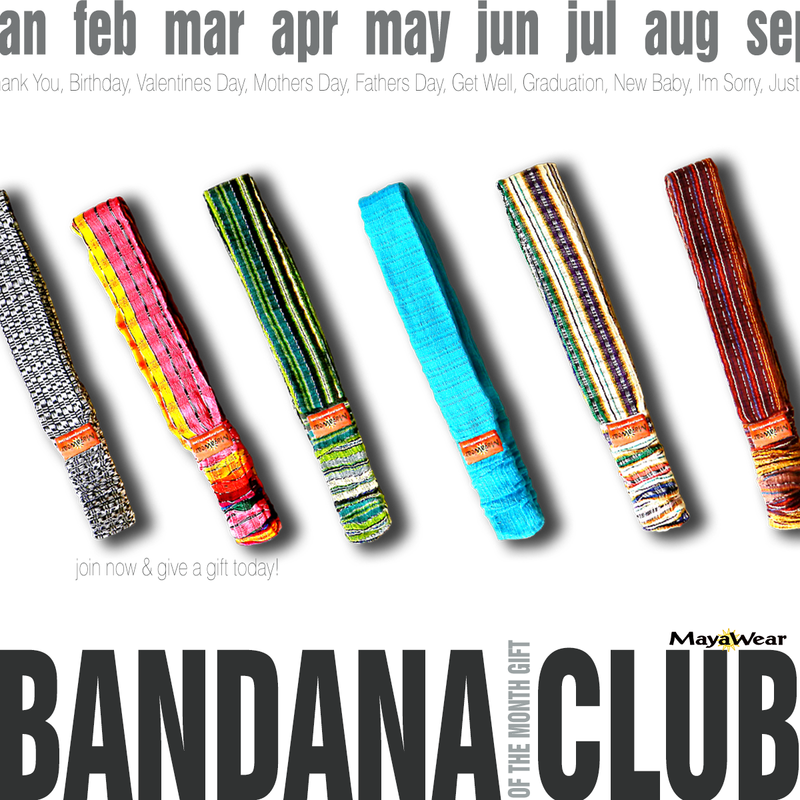 Yes, most of MayaWear'sTM woven cotton headbands are made by the talented artisans from Guatemala. What a joy to receive. MayaWearTM is excited and honored to offer you the opportunity to share the artistry of these beautiful bandanas with your friends and family. They will love this gift! You can give now! A gift announcement by email will be sent with your name on it. This is a perfect solution for last minute gifts. Give a gift that is extraordinary for any occasion and any season! Try sending one for Valentine’s Day, Birthday, Mother’s Day, Father’s Day, Hanukkah, Christmas, Secretaries Day or Just Because. See our list of occasions. Your Name on a Gift Card with a Positive Affirmation or Quote.